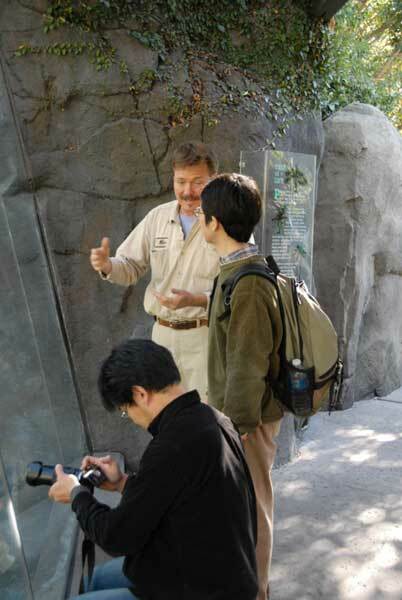 The purpose of the present trip was to meet with authorities at San Diego Zoo and conduct preliminary survey for the feasibility of scientific research of captive bonobos currently housed at the zoo. 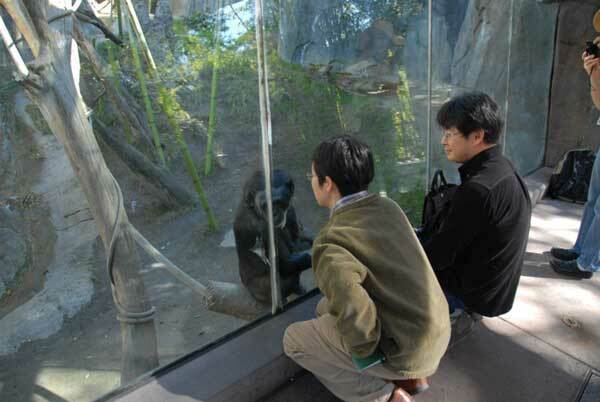 I supervised Dr. Naruki Morimura to do behavioral study of bonobos there and compare the results with those obtained from captive chimpanzees. We have conducted direct observation and video recording to investigate the behavioral repertoire, activity budget, social interaction and personality. 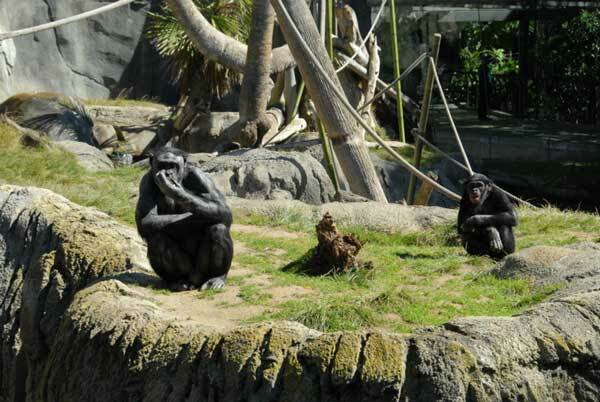 In the beginning we have had a meeting with care-taking and research staff of San Diego Zoo and collected existing information about each of the bonobos housed there. Then we have recorded the behaviors of bonobos as much as possible with the aid of video recording. In addition, we have also recorded the positions of each bonobos. These data will be used as basic data for future longitudinal research. The data are being sorted out according to the history, living environment, behavioral repertoire, activity budget, social interaction and personality trait, and data for positions of each individual are being used to reveal inter-individual distances and characteristics of captive environment that the bonobos prefer to use.